Since JioTv app is not listed in the amazon apps, By default you cannot watch Jio tv channels on amazon fire stick. Though the Jio tv app is not listed in the app list of amazon fire stick, it may not supported amazon fire stick. 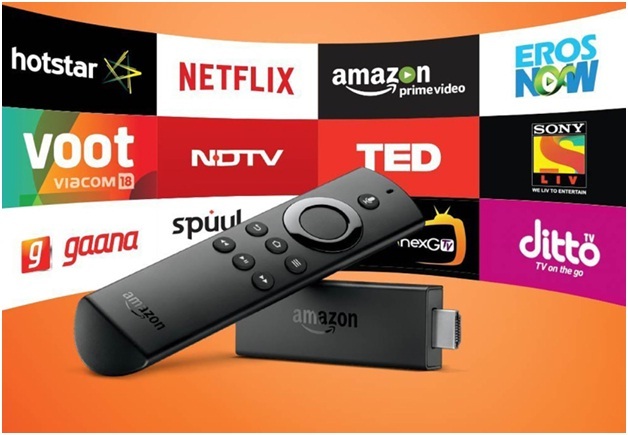 Here in this post, we are going to show you how to use JioTv and watch Jio tv channels on amazon fire stick with simple steps. You have to use Jio tv app download officially and have the access like Jio ID and password. Recently Jio tv version 5.1.6 has stopped screen mirroring option by their developers. So there were you cannot watch Jio tv online live on the biggest screen like Personal computer with chromecast or amazon fire stick. But in the latest version, the news released that they have now allows the users to use the app for mirror casting and can be used to watch on any screen. Now Jio Tv web version also launched and that was biggest advantage so that the Jio users can be able to watch the TV channels just with the web browser by hitting the link jiotv.com. So let’s move to the solution to use JioTv on amazon fire stick. For this, you need to download three apps on your android smartphone. Download ES File Explorer, Super Backup and Apps2Fire. And then Jio tv app download officially on your smartphone and install. One another app you need to download and is mouse toggle. First of all in Amazon FireStick ,open Settings options and there chose Device and then select Developer Options and in ADB Debugging Turn On. This is the primary steps you need to do in amazon fire stick. Then “Turn on” Apps from unknown sources. Next you need to download the ES File explorer in amazon fire stick. Next step is to backup Jio tv or JioPlay. For this, open super backup and from the apps to be back up select JioPlay (JioTv) by making a tick mark on the app. Then you can open ES File Explorer, and make these settings. Go to internal storage, and then SmsContactBackups, and then go to APKS, and from there select Jioplay. From there copy and then press back button and open download folder, there you can paste the copied items. By the same method, you need to back up mouse toggle apk and past in download folder. Settings on Apps2fire: Go to setup option. In IP address put 192.168.1.2 and Save it. Then click on Upload icon. Select the JioTv app from there and then upload it. By this way do it for mouse toggle too. Select and upload. Now come back to amazon fire stick, the settings next here. In amazon fire stick open ES file explorer and then go to internal storage and go to the download option, from there download mouse toggle and install it. Next In amazon fire stick settings and then select Applications and go to Manage Installed Apps and then Select Mouse Toggle and Launch. In the same way Select JioTV and click on Launch, You can be able to see a Mouse like feature when you will Press “Forward Button” of your Remote Twice of amazon fire stick. By using which you can control, forward, backward, scroll etc. and by sign in with Jio ID and password, you can enjoy all the tv channels offered by Jio tv and watch channels on amazon fire stick free. You can enjoy all the Jio tv app features with amazon fire stick. Hope you get help from this post.